Well, another week has started. And another day ….. people tends to get bored when they have cooked their whole life and I guess that’s the reason for so many fantastic restaurants around. Even the most adventurous home cook sometime want to rest themselves instead of having to cook, cook and cook. I am fortunate enough to have Tina at home cooking for me but she does get bored too. 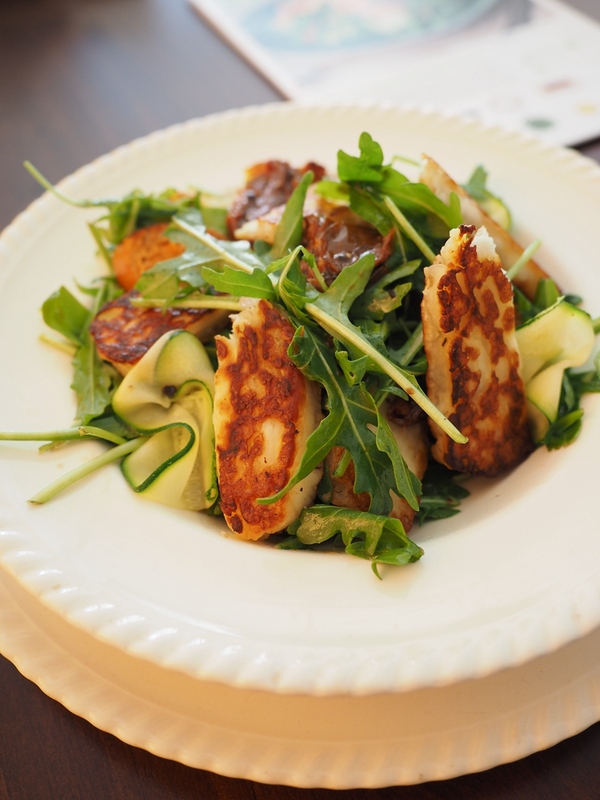 So, I’ve investigated my new toy, HelloFresh. What I got delivered with is a classic box, 5 meals for two people. You have your choice of choosing either 3 meals or 5 meals for two or four persons. In the classic box, dishes ranged from meat, fish, Asian etc and literally you will be travelling around the world in your kitchen. All ingredients were provided even with small things like Chinese five spices. As Tina got bored with cooking, when I got the boxes, I started to plan to cook myself. 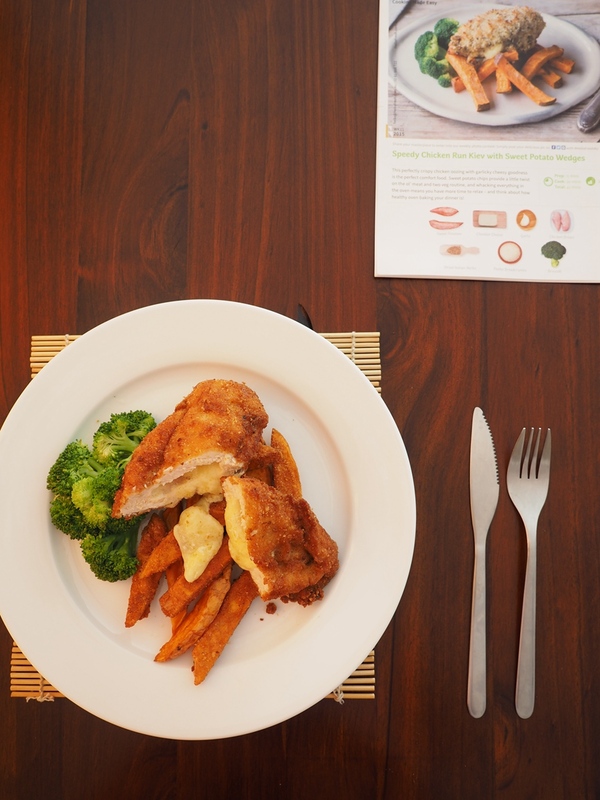 However, there was not much planning to do as HelloFresh has already designed what I will be eating each day. 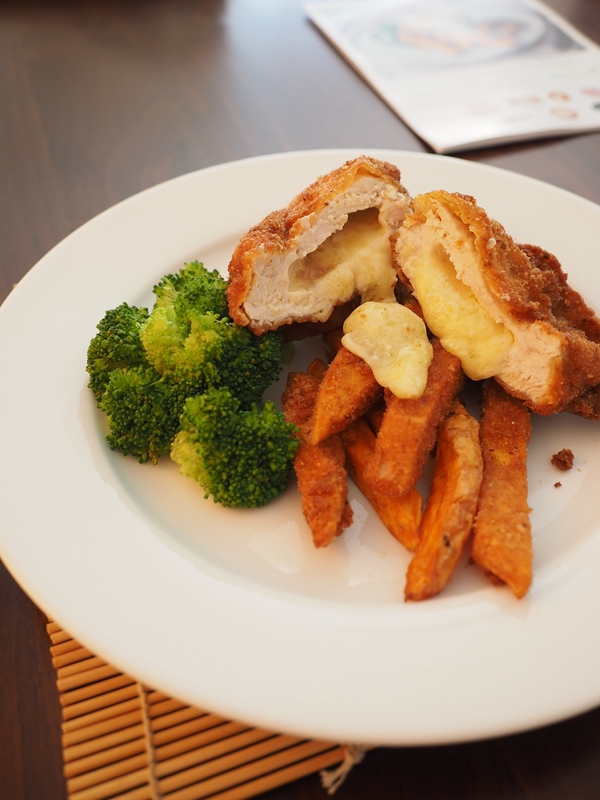 From Day 1 to Day 5, the different dishes looked mouth-watering and easy to cook with. So, I kindly asked Tina not to cook it before I come home so I can have a little play-around with the dishes and I was totally amazed with the time it took to cook these dishes. 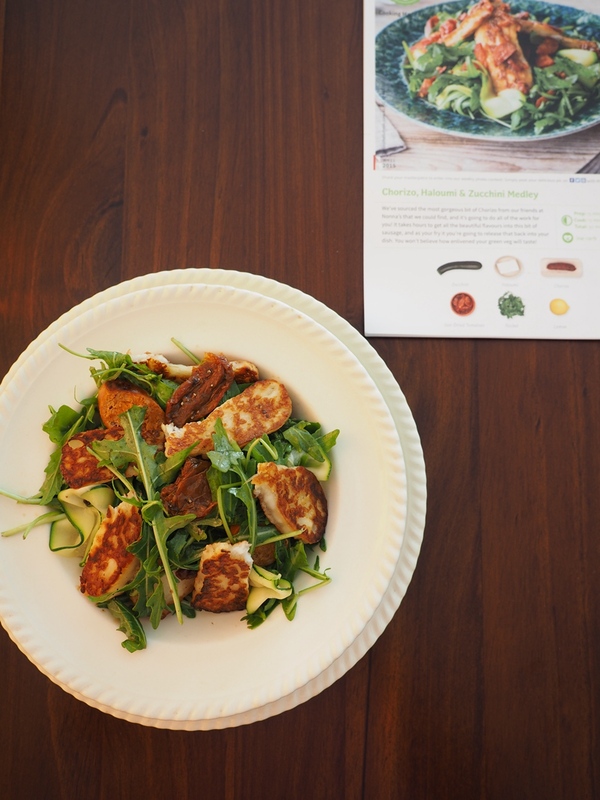 All the dishes took me no more than 20 minutes to cook each day and HelloFresh made it so easy with picture illustrations of the dishes. 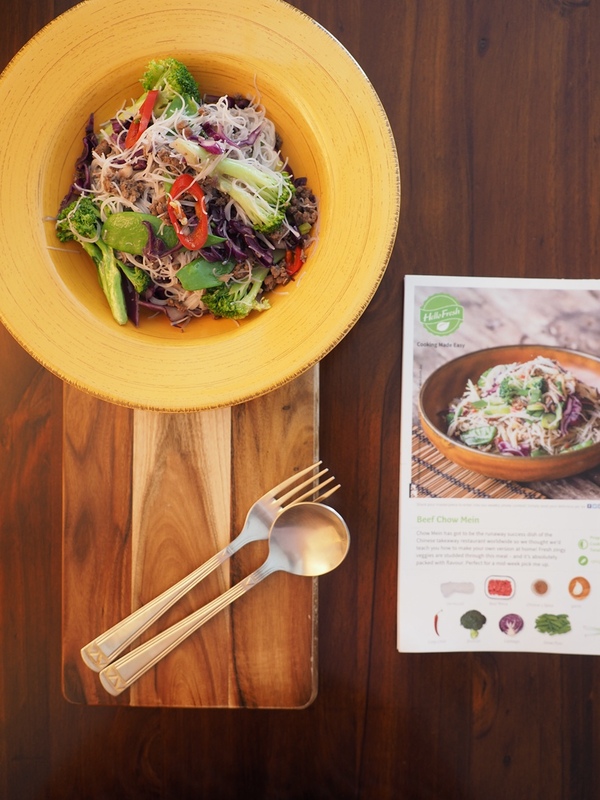 With the booklet (top right corner of the picture) that was provided, even a immature cook can do a good restaurant styled food. 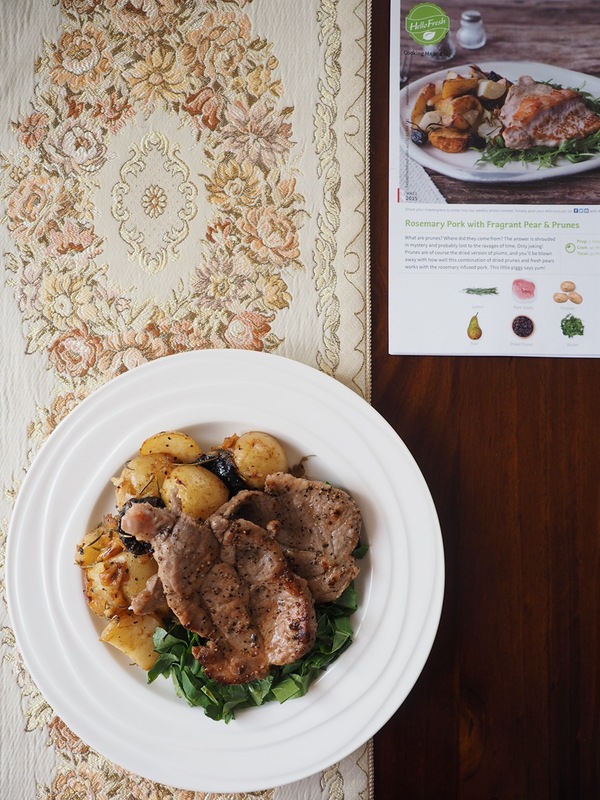 Unlike fast food or pre-packed delivery services, HelloFresh delivers fresh and real ingredients as well as good spices. 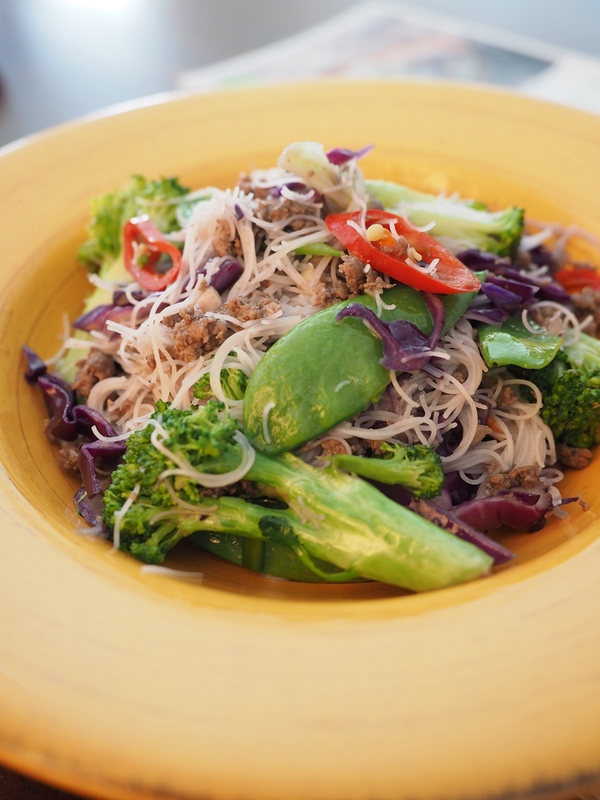 Every dish has its own distinctive flavour and no one is similar to the other. The dishes in last week tasted great with each and every one of them being a good feast on its own. The nutritional balance in the box is also an area to praise for. There were cheese, fresh fish, pork, beef and chorizo as well as rocket greens. These items balance the nutrition out well for people who always dine out or who does not have time to cook proper meals. HelloFresh also catered my craving for raw fish. My regulars should know that I just can’t live off fresh and raw fishes, whether it’s tuna, salmon or king fish. 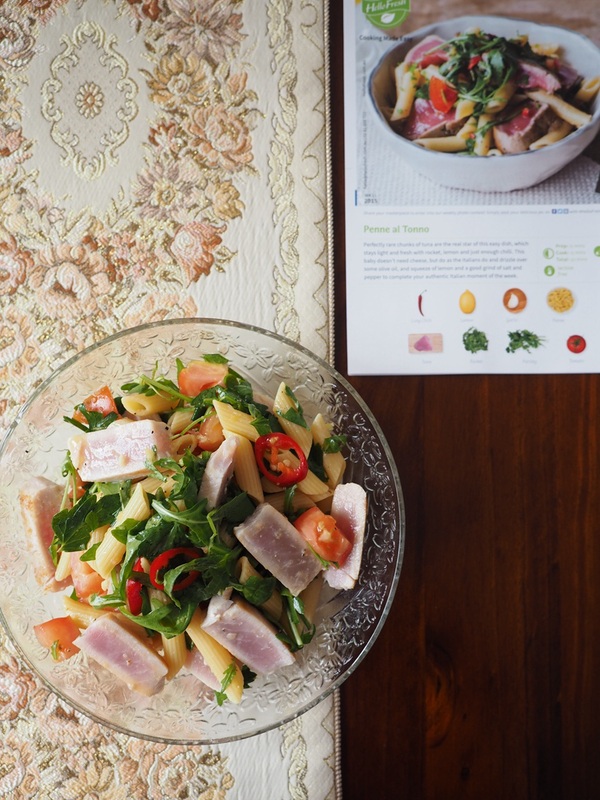 During last week, HelloFresh had a dish involved tuna steaks cooked rare. It was very tasty after cooking I should admit, not only because I was really tasty but also because that one can easily detect the fresh seafood flavours. 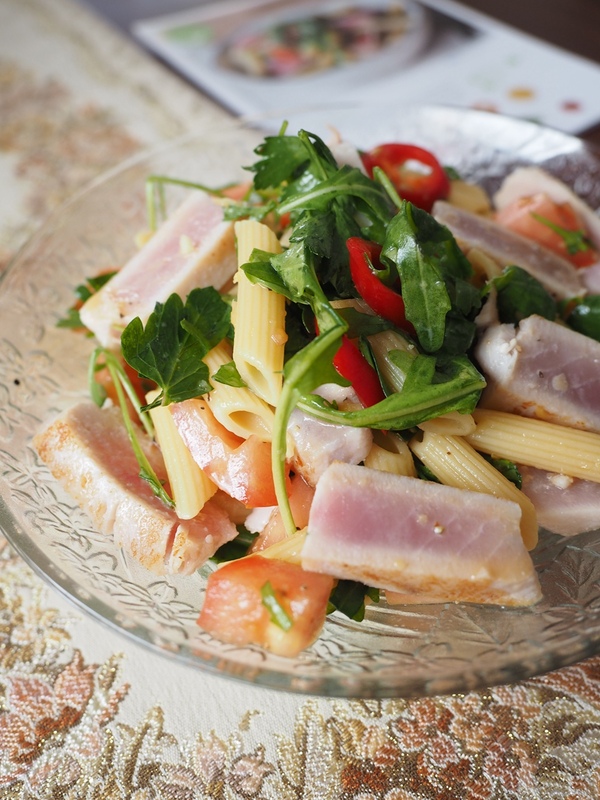 All the flavours in the above dishes complemented each other well and with the soft and tender tuna and the salad dressing, Penne is not boring any more for a home cook like me. 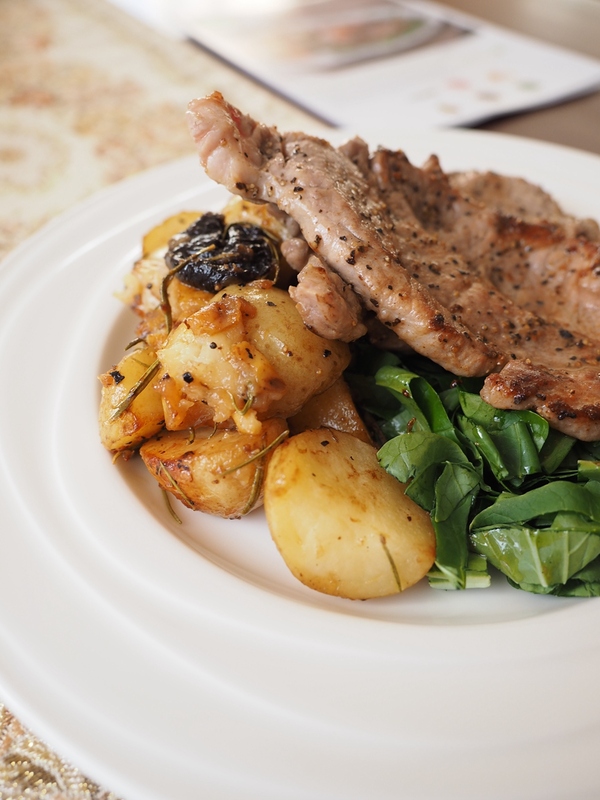 Pork neck is always adventurous to cook and I always had trouble to cook it too dry but this one did a good job and created such a flavour that one would not even able to tell the difference between this and your normal pork loin steaks. Maybe there is a difference – this one is much tender. 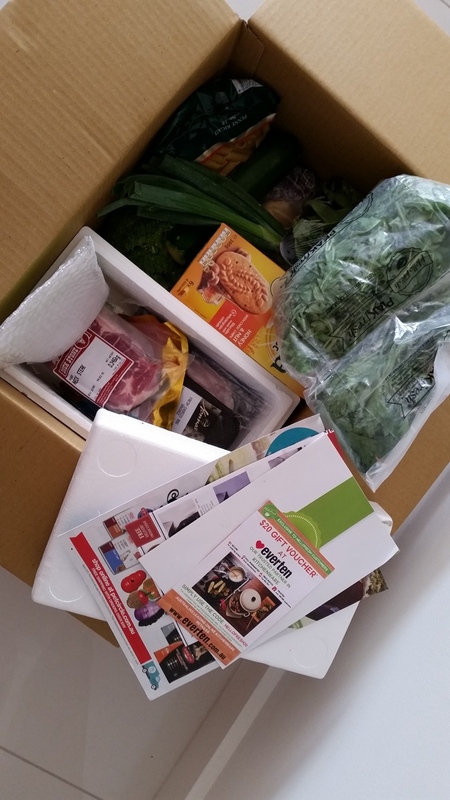 Overall, I am very satisfied with last week’s delivery of HelloFresh. It did not only provide me with all the essential ingredients and spices for cooking but also provided me with good quality dishes that I can enjoy at home. Easy to cook, reasonably priced and flavoursome are my three descriptors to the service. Now, would you want to have a try? I believe you can register and send your friend a box to try at the moment and see how they think. Disclaimer: Adelaidefoodies.com were send this box for review but all opinions are my own. 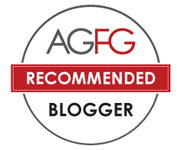 G’day Well written post Xin and is always interesting to read about new Adelaide businesses! I tried it last week. Amazingly my techniques improved – The wife said “You made a good meal”. That’s so cool! I guess it’s always good to impress ones we care.